Emergency Voice Broadcasting Applications relating To Emergency Alert Applications for 911Broadcast. With technology from Database Systems Corp., you can broadcast alert and warning messages to hundreds of thousands of households warning of potential catastrophic disasters, including severe weather warnings. 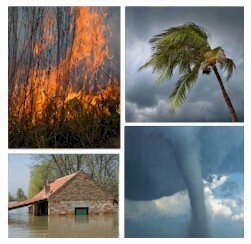 Businesses, organizations and emergency response teams can be notified quickly whenever a disaster hits an area. Pre-recorded warning messages can be played giving households travel warnings advising them where to seek shelter or providing other safety instructions. You can send a broadcast alert warning to specific neighborhoods or communities in the event of a wildfire or severe weather warnings. Community alarms can be directed to operators that are standing by to handle special individual emergencies. Messages can also be broadcast seeking volunteers or special assistance from emergency personnel. For more details on this emergency notification and alert broadcasting service, visit our Emergency Phone Dialer Network webpage. Communities can be notified of other situations such as power or utility outages. Remote communities have used this technology to warn residents when the forest service planned a controlled burn, preventing a rash of 911 and emergency calls by concerned citizens. Other applications include warning residents when there is a toxic chemical spill or other dangerous environmental disaster. DSC now provides an online signup for both non-profit and business organizations wishing to use our emergency voice broadcasting outsourcing services. Signup is easy and free! Our competitive rates are affordable, even for the smallest calling campaign. For a further description of this emergency notification dialer technology, visit our Emergency Phone Dialer web page. BASF Corporation is an international company that maintains business relationships with customers in more than 170 countries and supplies approximately 8,000 products from its five segments to a wide range of industries worldwide. BASF utilizes the our emergency broadcast call center to notify its management team and employees in the event of a company or community emergency situation. Bayer Material Science AG, a subsidiary or Bayer aspirin, is one of the world's largest producers of polymers and high-performance plastics. Bayer Polymers is currently utilizing Voice Broadcasting in order to notify all employees in case of an emergency as well as a reminder service for upcoming company events. The U.S. Post Offices in Columbus Ohio utilizes our emergency broadcasting services to contact postal employees in the event of an emergency. Emergency phone messages are sent to employees notifying them of a facility shutdown with specific instructions. Messages also are sent informing employees to contact their emergency center 800 number for specific information and instructions.